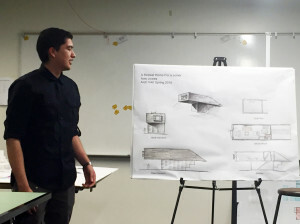 Andi Laska, a designer on Kamus + Keller’s Architecture Studio and Ventura College (VC) alumnus, shares his experience as a guest critic for VC’s first-year architecture students. I was invited as a guest design critic at Ventura College’s 1st year architecture studio project presentations. 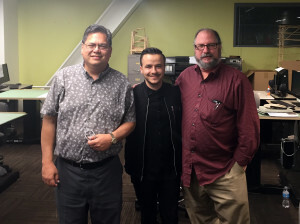 It was an honor to be given the opportunity of reliving the same excitement and fear I had 7 years ago as a 1st year student at VC, a complete shift for me to now be on the other side of a presentation board. 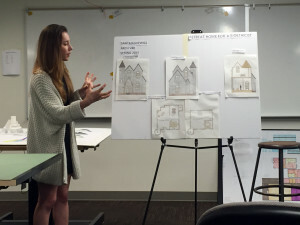 These were the very first projects these students had done, their first take at struggling with design, their first time providing a solution to a real life architectural problem. They were all assigned a fictional person with a certain profession, and had to design a retreat house for them based on that profession, their hobbies, personality and identity which the students had to create. 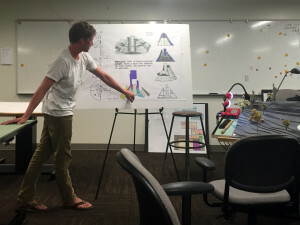 There were 3 other design critics: studio professor and architect Curtis Cormane, architect Nicholas Deitch (Principal, Main Street Architects), and architect Daniel Saltee (Daniel Saltee Architecture). Some of the students were anxious to finally be able to share all of their hard work, while others were shy and timid, struggling to remember their presentation points as the uncomfortable emotions of public speaking took over. In the end, they all pulled through, presenting their project and most importantly providing reasons and defending their concepts and meanings behind their designs. 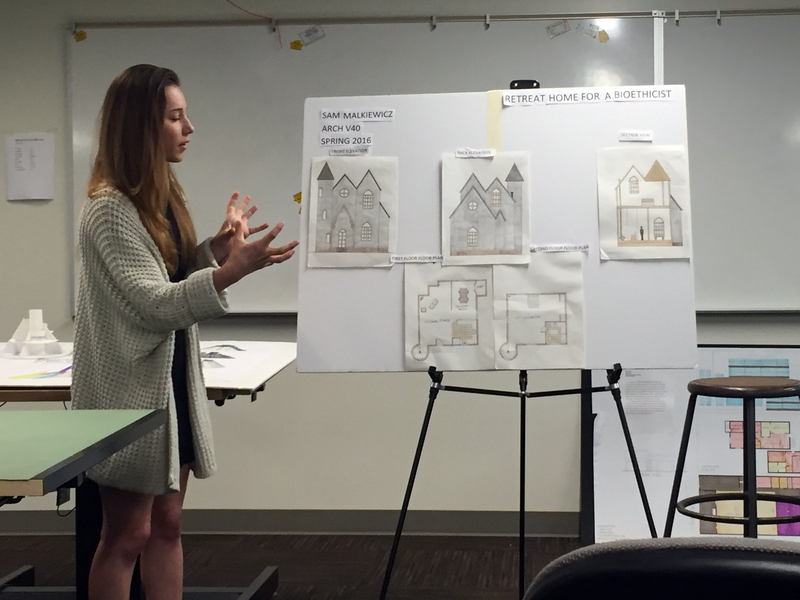 My favorite presentation came from a student who designed a retreat house for a kinesiologist, a healthcare professional dedicated to the scientific study of body movement. 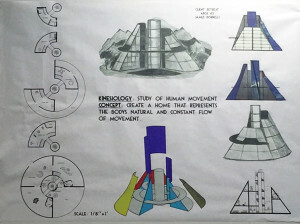 To symbolize kinesiology, the student designed a retreat in which his client was placed on a path, experiencing his retreat and the landscape around it, through corridors and walkways both outside and inside which all loop and link to the main living spaces, keeping the kinesiologist in constant movement. You could tell the gears of design and conceptual thinking were turning for this student as he tied the profession of his client to his architectural concept. I was very pleased with the students’ work. Staying connected to educational institutions not only promotes future generations, but also re-links professionals back to creativity as we see new ideas and innovation that are not limited by the “real world” budget and codes, but rather come from intuition and free thinking, which we as professionals seem to sometime lose touch with, as we get into the routine of the post-graduation professional world.